Estee Lauder Pure White Linen is embodied in flavor perfection of purity & tenderness. 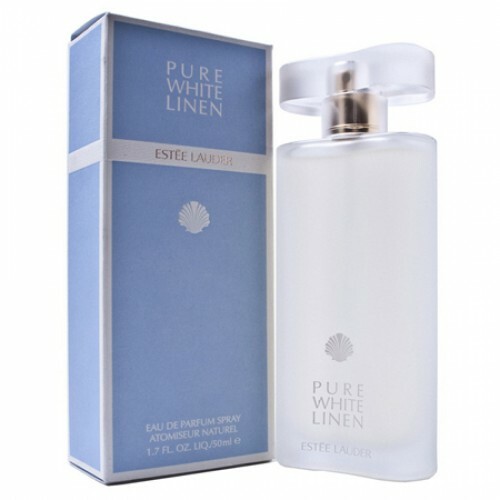 Estee Lauder Pure White Linen 100ml. Eau De Parfum is embodied in flavor perfection of purity and tenderness, touching the very freshness and sincerity! Being a modern version of the classic fragrance White Linen , released in 1978, the year, the updated Perfume captivates the ease and elegance, giving its owner sparkling and sunny feeling of freshness, charm and inspiring joy. Brimming with tenderness and sensuality fragrance Estee Lauder Pure White Linen mentally transport you into a blooming summer garden, fragrant fresh herbs and just blossoming flowers. - Initial notes fascinate sounding Italian mandarin, cool fresh air chords, raspberry, dewy greens and white freesia. - Heart notes of fragrant rose, chrysanthemum, gardenia petals and wild honeysuckle. - Transparent, but delicious and persistent trail envelop base woody notes of white cedar, enriched white heliotrope and patchouli. Estee Lauder Pure White Linen is sparkling clean floral fragrance for women. Come into the garden, where flowers now bloom. Dress in fine veils of petals and fresh fruit, which brings perfume Pure White Linen. Become a charming fairy, from whose fragrance will everyone to buckle the knees. Minimalist design fully reflects the flacon perfume itself. So pure, gentle and seductive is just Estee Lauder Pure White Linen! At home you will be able to taste the succulent fruit in the form of sweet raspberries, grapefruit, pears and tangerines. A moment will engulf roses, jasmine, honeysuckle and tulip, which will make you a seductive wonder. Heavenly light notes of white musk, patchouli and heliotrope can bear gently on the skin of your body, and in the end you will be pleasantly pampered boredom. The long tradition of the brand Estee Lauder pleased by the quality and originality. On his fans and the rich fragrances and fresh fruit cocktails. Simply select all that attracts unique charm and seductiveness fresh elegance that is hidden in each flacon fragrance Estee Lauder. Pure White Linen perfume is crystal pure essence of youth and pleasurable feelings of beauty and harmony. O you will see graceful composition of flowers and rare ingredients that give every woman a fresh touch of elegance and glamor. Fragrance Estee Lauder Pure White Linen will accompany you on every step and you will make each moment of life.